Greetings from the Metro Family Retreat! 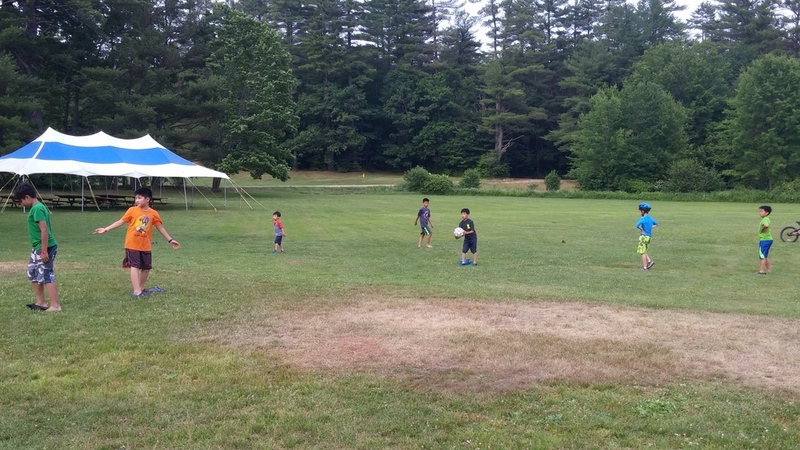 We arrived at Pilgrim Pines located up in Swanzey, NH on Monday afternoon and it has been non-stop fun and activities since then. Our day starts with breakfast, then a short worship time with our families. The kids go off to their classes while us, parents, get to learn more about how to disciple our children. Both sermons we've heard from Pastor Stephen Sharkey so far have been eye opening and have led to interesting discussions among the parents. After the service, we have lunch then we fill the rest of the day with pretty much whatever we want. Some things we've already done are archery, a junior triathlon, basketball, a family photo scavenger hunt, tie dye, tire bowling, frog jumping contest (the kids had to catch their own frogs! ), kickball again the Pilgrim Pines staff, and so much more! The scenery is beautiful, the weather is just right, and the community and the relationships that are being built not just among the parents but also among the children are beautiful and so filling to our souls. 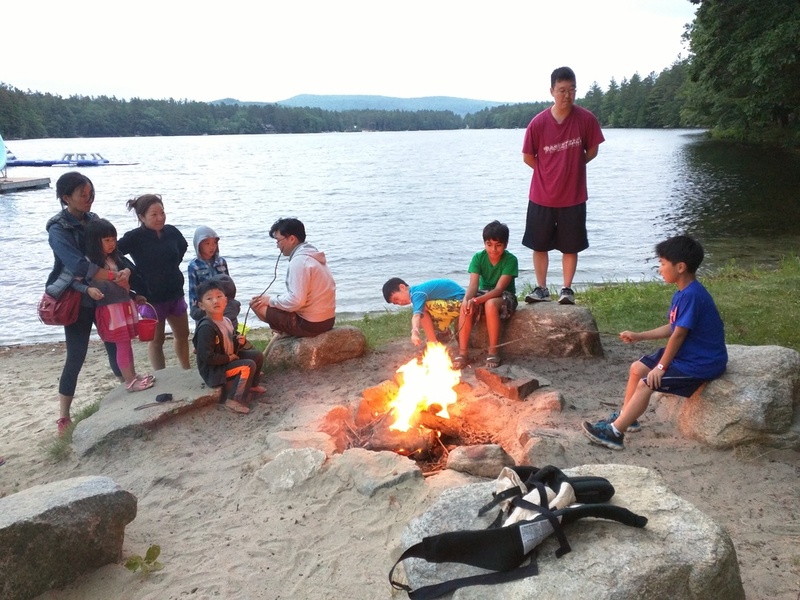 We wish there were more families here to experience this retreat with us, but there's always next summer, everyone!